The Natural Standard, an Authority on Integrative Medicine, reports a new study of how massage therapy may improve symptoms of Parkinson’s disease. Read this interesting article in naturalstandard.com. Much research has been done on massage therapy. We all know how good massage feels, and how much better our bodies feel after a treatment. The benefits of massage go a long way, from stress reduction and decreasing pain to increasing the range of motion in the body. “Research over the past couple of years has found that massage therapy boosts immune function in women with breast cancer, improves symptoms in children with asthma, and increases grip strength in patients with carpal tunnel syndrome. Giving massages to the littlest patients, premature babies, helped in the crucial task of gaining weight. Check out this article in the Wall Street Journal on Massage Therapy for more important information. 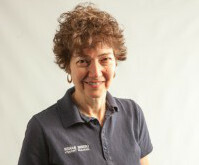 Debbie Baker graduated from the Muscular Therapy Institute, now Cortiva Institute in Watertown, in 1994. She has been practicing massage for the past 19 years in the Boston area. Debbie primarily focuses on Swedish massage and uses techniques for both therapeutic and relaxation benefits. She is an active member of the Mass chapter of the American Massage Therapy Association and is nationally certified with the Board of Therapeutic Massage and Bodywork.